With the Chinese government hinting in less than subtle tones that the freewheeling days of domestic mobile app stores are soon to come to an end, Apple’s use of the secure HTTPS protocol for its App Store offers a temporary loophole that dodges some of the so-called Great Firewall’s censorship of sensitive software. GreatFire.org, which tracks the technical end of China’s active Internet censorship system, detailed the loophole in a blog post on Thursday. It’s not immediately clear how long the protocols have been in place, though an Apple document for affiliate linking suggests that HTTPS support for search and lookup requests arrived as early as October 2012. Rudimentary tests suggest that HTTPS does function a workaround for domestic filtering of the App Store. For instance, I attempted to visit the HTTP version of a VPN app (which would allow circumvention of China’s filtering process) on the App Store from within China, but it didn’t work. After the attempt, other less sensitive links to iTunes stopped working for a couple minutes. I tried this several times with the same results. Meanwhile, the HTTPS version of the same app was easily accessible with no obstruction at all. “It is highly likely that the government have noticed this loophole in its censorship net, and is now trying to close it,” GreatFire speculated. Popular VPN providers have been vexed in recent weeks by changes to the Great Firewall that have disrupted their ability to let users “jump the wall”. Several of them have sent messages to their customers notifying them of the increased difficulty in providing such a service. Access to the foreign Internet from within China was choked last month during a leadership transition, and unusually strict controls still remain in place. The app ecosystem in China has been uncharacteristically free up until now, but all that is set to change. The country’s Ministry of Industry and Information Technology has said it will soon require a registration and licensing process for application stores and it will also implement real-name registration requirements for developers. 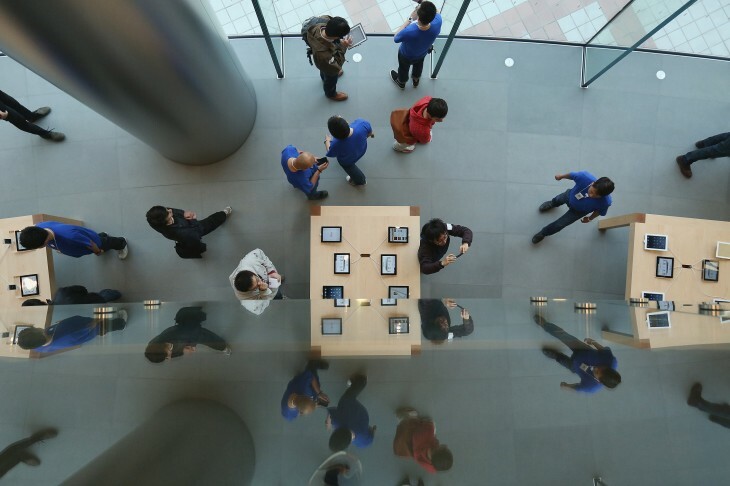 Apple is unlikely to take a stand against Chinese censorship in general. The country is, after all, its second-largest market. Rival Google learned things the hard way in 2010 when it stopped censoring search results on its google.cn domain. As a result, it was unable to keep its domestic license for the site and was forced to move its Chinese search engine to Hong Kong. TNW has contacted Apple for comment.